The Information Management & Dissemination Centre (IMDC) supports NML Scientists with upto date R&D information backup through well organised library and data management system, on-line access to global database, documentation, photography, reprographic and printing facilities. It organises customised information services through membership. The centre brings out the technical publications of the laboratory and also projects Laboratory’s capabilities and expertise to its target groups through advertisement, media coverage and participation in exhibition. The centre contributes to the promotion of the Laboratory’s R&D business. 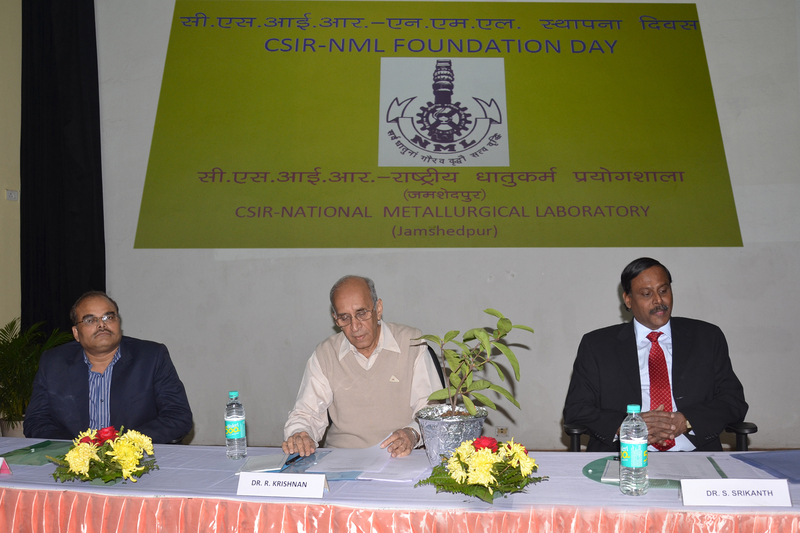 A three day International conference on Processing of Lean Grade & Urban Ores (IC-LGO-2015) was organised by CSIR-NML, Jamshedpur in association with IIM Jamshedpur Chapter, during January 20-22, 2015. Prof. Kwadwo Osseo-Asare, Distinguished Professor, Penn State University, USA was the Chief Guest of the function and Dr. R.N. Patra, CMD, Indian Rare Earth Ltd. (IREL), Mumbai was the Guest of Honour of the IC-LGO 2015. - Assumption of Charge of Director, CSIR-NML by Dr.I. Chattoraj on 1 Feb, 2017.